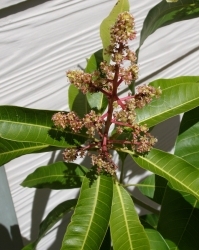 Grafted trees can flower and produce fruit straight away, however we recommend that you remove all the flowers and fruit from your young grafted mango for the first two years to allow your tree to establish into a strong healthy plant before letting the fruit mature as otherwise it will put all its energy into the fruit. You want your young tree to put its energy into roots and shoots for the first two years. 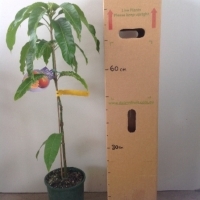 Your tree also needs to be large enough to comfortably hold the weight of the mature fruit. Ideally it should be about 2m tall when you let it fruit for the first time. 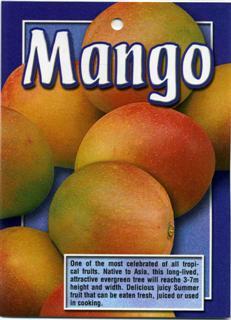 Mangoes are tropical and require a warm frost free position to thrive and be productive. 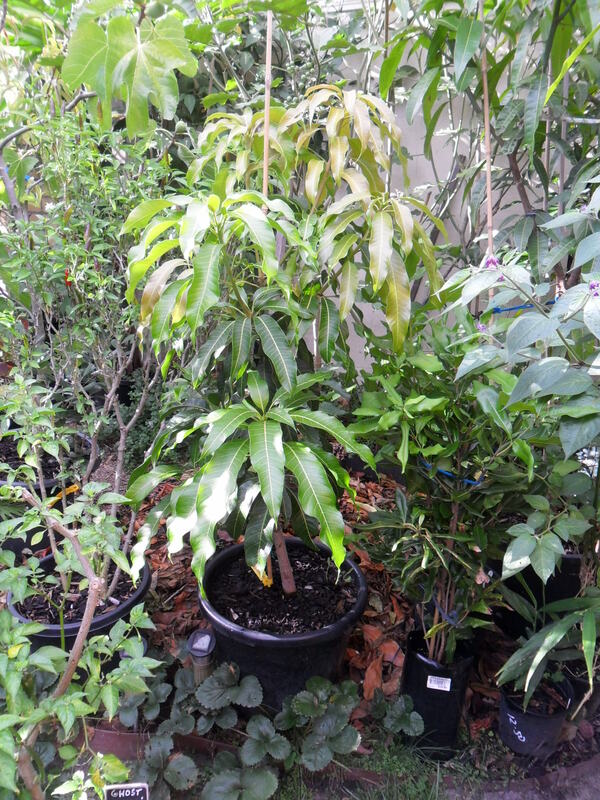 You could grow the Nam Doc Mai in a pot, a 35L container will grow one to about 2m. It will require regular feeding and repot every couple of years to keep it healthy. 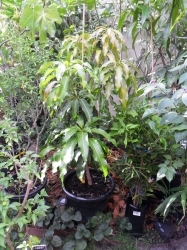 This mango is well suited to our semi - tropical climate, as we are on the Atherton Tablelands 808m above sea level. 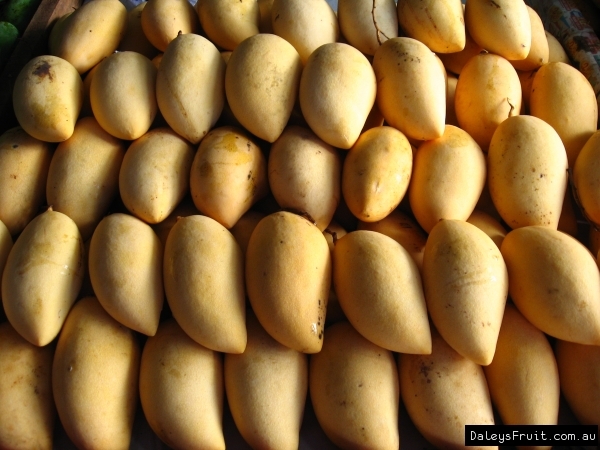 The tree has fruited once before, with only a small amount of fruits. 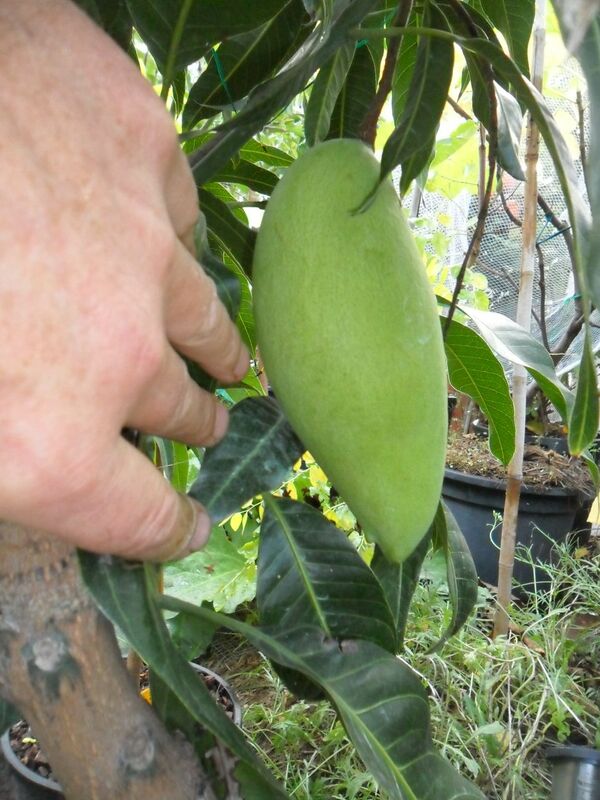 Like most mangoes they are easy to grow & need little care. A great looking tree & unusual tasting fruit. 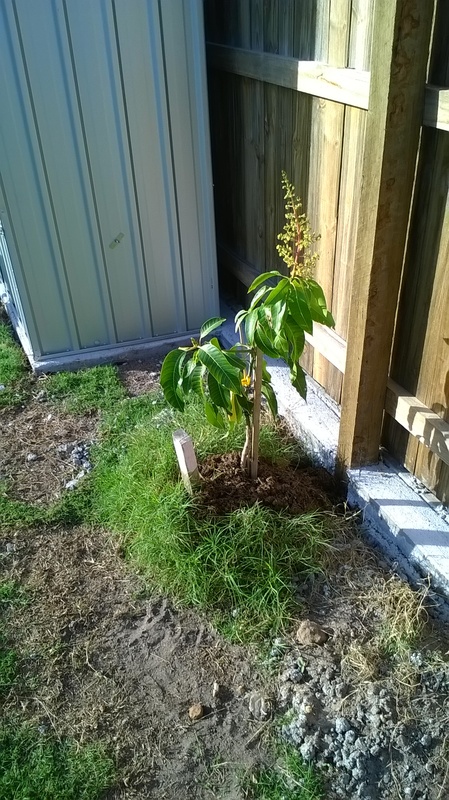 Comments: - May 2015: Planted in late 2014, this is nice looking mango plant. It enjoys a good drink, fertiliser and sun. It has grown quite strongly and has estblished itself quite quickly. 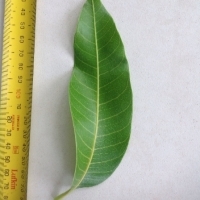 That said, it is still a small plant. Attracted to this because it is different to other varieties commonly available. It has also grown much more strongly than other people suggested in the reviews of this plant. 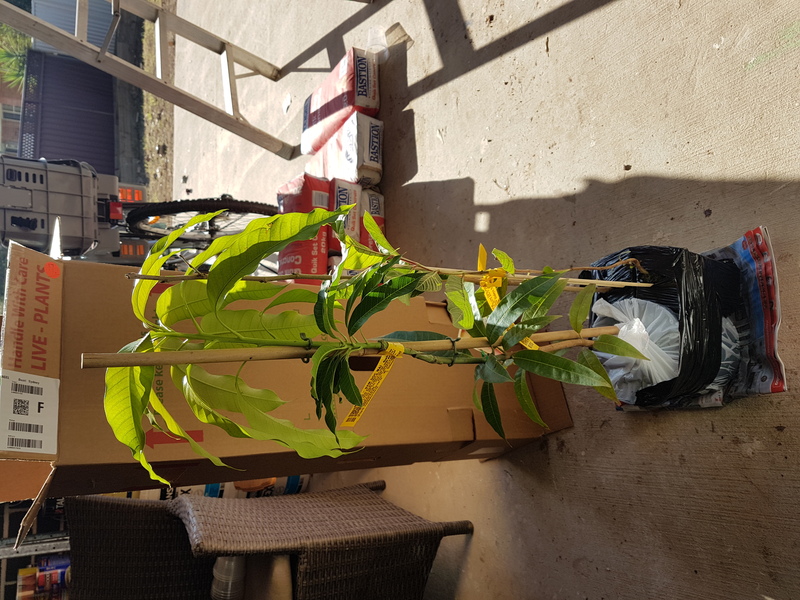 Growing in QLD and purchased from Daley's - quite happy with this so far. 2nd Pic Jan 28 2016 - had to cut back due to cold burn last winter but is recovering with great new growth. Got this one from forbidden fruits, meant to be on a dwarfing rootstock. Took it back to 0.75m before planting it into a larger pot to develop low branching structure. The last growth flush at the end of summer was affected by some type of fungus, probably anthracnose, it was very wet weather at this time. 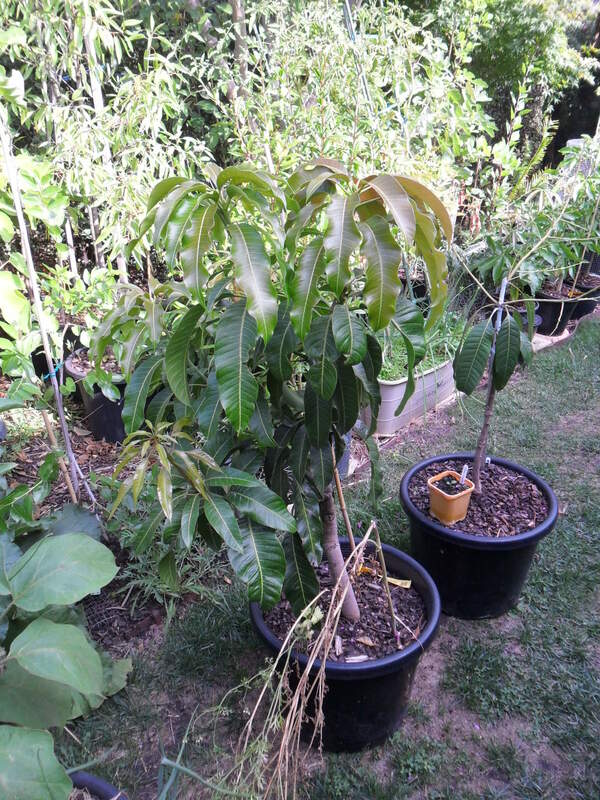 This tree has now taken the place of my black sapote in the ground in the front yard as i figured it would not be well suiuted to a pot. The BS is now in a pot. 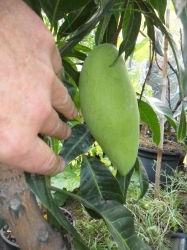 It has already flowered so when I am happy with its size I will let it set fruit. Comments: - Husband grew up on tropical island and used to pick fresh off trees in neighbourhood. Comments: - Grafted part was taken over by the kp rootstock. 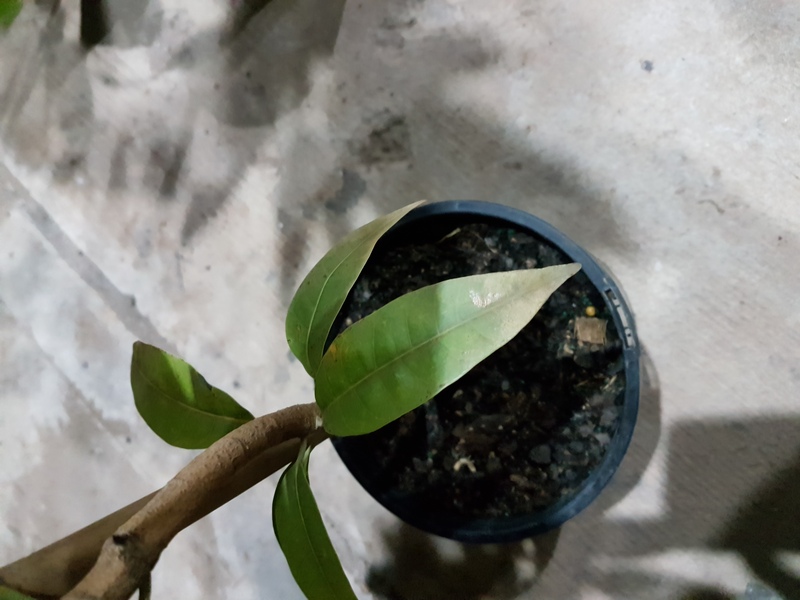 Comments: - Graft died but rootstock is 7 years old and just have 10 mangos this year..Not sure what type of rootstock and fruit. Some friut and some leaves have brown spots. Question: Graft died but rootstock is 7 years old and just have 10 mangos this year..Not sure what type of rootstock and fruit. Some friut and some leaves have brown spots. Is this a disease? What do I do?